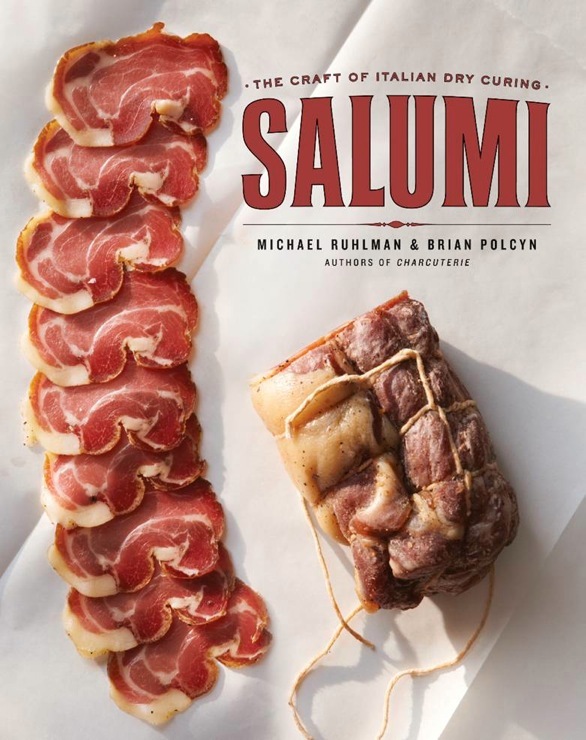 Thanks to the more than 500 comments for the signed copies of the Salumi giveaway. There are only 120 first editions signed by both me and Brian. My friends at OpenSky have the rest! And the wonderful Cathy Barrow, who blogs at MrsWheelbarrow, has posted today her experience with the book Salumi and making Salami Cotto on Food52. It’s a great time in America for all things cured! The book that started it all, Charcuterie. Another great (IMO) post, Artisan Butchers (Does Artisanal Mean Anything Anymore?). Also among the country’s salumi leaders: Salumi Artisan Cured Meats, Mario Batali’s father’s shop in Seattle; Paul Bertolli’s Fra’ Mani and Chris Cosentino’s Boccalone, both in the Bay Area; Herb Eckhouse’s La Quercia in Norfolk, Iowa; and Elias Cairo and Co.’s Olympic Provisions in Portland. Too many to name, so feel free to link in comments! © 2012 Michael Ruhlman. All rights reserved. So when and where does one show up in Montreal for a meet and greet and a signed copy while talking the ears off the writers? Perhaps the Appetite For Books store in Westmount? A quick note on a great film called Samsara that shows incredible footage from all over the world, contrast beauty with decay and amazing footage of mass produced food, meat processing plants in China. I know everyone loves to eat “free range”, “organic” and all the other labels that increase the cost of meat, some just for the sake of profit, but there is something to be said on the amount of food that is processed safely and able to feed BILLIONS of people. And this free book giveaway, never seen so many post since the kitchen counter chicken stock entry. Free books or bacteria are more popular than cocktail post, what’s the world comming to? I need a good Smokey Rob Roy to ponder over that.